Transposable elements (TEs) are mobile DNA regions that alter host genome structure and gene expression. 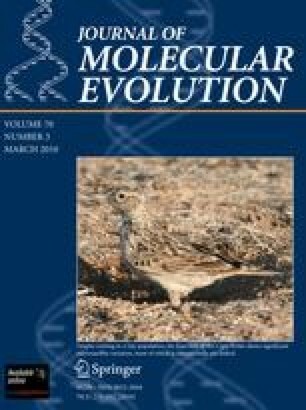 A novel 588 bp non-autonomous high copy number TE in the Ostrinia nubilalis genome has features in common with miniature inverted-repeat transposable elements (MITEs): high A + T content (62.3%), lack of internal protein coding sequence, and secondary structure consisting of subterminal inverted repeats (SIRs). The O. nubilalis TE has inserted at (GAAA)n microsatellite loci, and was named the microsatellite-associated interspersed nuclear element (MINE-1). Non-autonomous MINE-1 superfamily members also were identified downstream of (GAAA)n microsatellites within Bombyx mori and Pectinophora gossypiella genomes. Of 316 (GAAA)n microsatellites from the B. mori whole genome sequence, 201 (63.6%) have associated autonomous or non-autonomous MINE-1 elements. Autonomous B. mori MINE-1s a encode a helicase and endonuclease domain RepHel-like protein (BMHELp1) indicating their classification as Helitron-like transposons and were renamed Helitron1_BM. Transposition of MINE-1 members in Lepidoptera has resulted in the disruption of (GAAA)n microsatellite loci, has impacted the application of microsatellite-based genetic markers, and suggests genome sequence that flanks TT/AA dinucleotides may be required for target site recognition by RepHel endonuclease domains. The online version of this article (doi: 10.1007/s00239-010-9330-6) contains supplementary material, which is available to authorized users. This research is a joint contribution from the United States Department of Agriculture Agriculture Research Service and the Iowa Agriculture and Home Economics Experiment Station, Ames (project 3543). Mention of proprietary products does not constitute an endorsement or a recommendation by USDA, or Iowa State University for its use.